Battlehill Judo Club travelled to Erdington Academy in Birmingham to compete in the Bushi Judo Annual Championships. 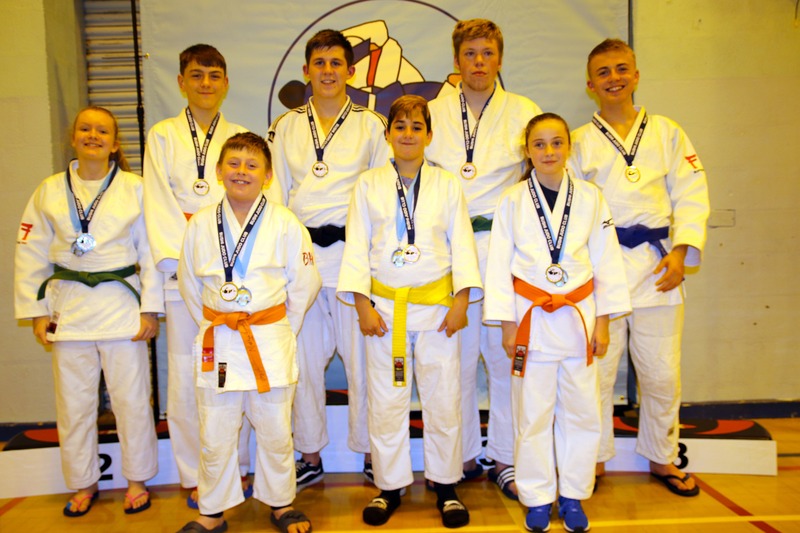 Eight Students took part returning with 3 gold, 2 silver and 3 bronze medals, including a medal in the team event. Jenni Francis was untouchable in the u32kg girls category winning 4 fights by Ippon (Maximum Score) to secure the first gold. Daniel Dizyee and Joe Carroll were both in the boys u45kg event, Daniel winning 2 from 4 contests to win the bronze medal whilst Joe showed a good return to form winning all 4 of his contests to clinch the Gold medal. Luke Anderson and Josh McKeown were in a large group of over 55kg boys and were both underdogs competing against Judoka up to 90kg's. Josh won all his contests and was narrowly defeated in the quarter finals to return with 3rd place bronze. Luke Anderson also had a great day and won each contest to make it to the final where he was also defeated by a strong 90kg player, returning with a well earned Silver. Kieran Hardaker performed well in the Esquire (15 to 17yrs) category returning with a bronze medal. Kieran Tweedy had four hard contests in the senior men's Dan grade open, and was only defeated by the gold medal winner, to return with a good Silver medal. Ellie Hutton competed in the u50kg girls category, winning four straight contests with some superb Judo to take the Gold Medal. Four members of the squad were joined by a judoka from the local Erdington Judo Club to make a team of 5 players and compete in the team event. Jenni u32, Mathew Mansfield u36, Joe u40, Daniel u35 and Ellie u50 were very strong in an event attracting a great atmosphere from all clubs in attendance, and secured a well deserved Silver medal.